Between purchasing books and supplies and paying tuition, the start of the semester can leave many students with a tight budget. Luckily, there are a wide variety of FREE (or nearly free) resources offered by the university. From activities to services and even cool perks, FIU has what you need without breaking your wallet. Some of these things are free because they are already included in student fees you pay with tuition, so you should definitely take advantage of them, and others are free just because! Here is a list of things that you get to enjoy simply for being a Panther. Watch the latest movies for free at 5 p.m. and 8 p.m. every Friday in the Graham Center thanks to the Student Programming Council. You can even bring a guest. They also hold various events during the semester that are free of charge, such as concerts and comedy shows. 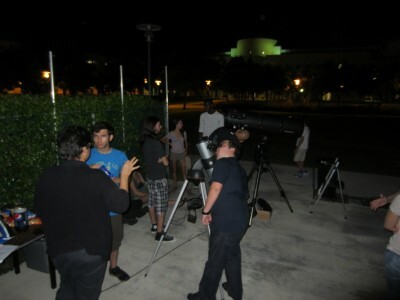 Students gather outside the Stocker AstroScience Center to explore the Miami skies after dark. Photo courtesy of the Astronomy Club at FIU. Music, munchies, telescopes and astronomers. This is the premise of the star gazing parties held by the Stocker AstroScience Center and physics professor Dr. James R. Webb. There are usually five of these stellar parties held every semester and with the new observatory opening this fall, there will surely be more events to come. One of the perks of the Biscayne Bay campus is, well, the bay, and the best way to experience it first hand is by taking advantage of the free kayak trip! 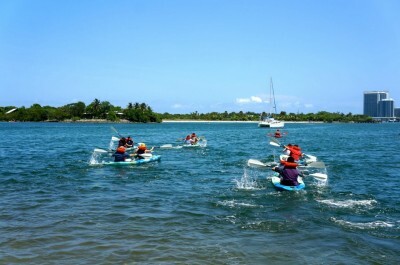 A staff member will teach you the basics of kayaking and then guide a group of no more than 20 into the Mangrove Trails of Oleta State Park. Some excursions even take you to the Biscayne Bay Sandbar or to the tropical beach Sand Spur Island. Students and faculty enjoy a day in the Biscayne Bay waters. Photo courtesy of FIU BBC Recreation’s Facebook page. For the more experienced kayakers, Kayak After Dark events offer the opportunity to enjoy a mini adventure under the moonlight. These events are held on a full moon, once a month and allow you to experience the bay in a whole different way. If you’re looking to de-stress and find some inner peace, then take advantage of the meditation sessions offered every week at both the MMC and BBC campuses. The one hour sessions consist of a guided meditation that focuses on the helping participants relax and focus on the present. The group meets from noon to 1 p.m. every Tuesday in Academic II at BBC 246B and from noon to 1 p.m. in GC at MMC. Whether your main campus is BBC or MMC, the FIU rec center offers a series of facilities and classes that are not only fun, but that will also help you avoid those freshman 15. The gym is equipped with free weights, cardio and resistance machines, basketball, volleyball and badminton courts and even locker rooms. All free to use for FIU students! Okay, so you technically pay a fee for this in your tuition—but this is just more of a reason to take advantage of it! 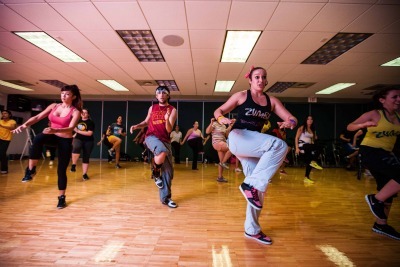 Alicia Jimenez (headset) leads Zumba class at the MMC Recreation Center. Yoga, spinning, Zumba, Pilates, boot camp—you name it, FIU offers it. Free or charge! Most group classes are offered five days a week and allow up to 30 people to sign up for one-hour sessions. There are various classes offered at different times. Some advanced classes have a fee, but even then, it is only $2. You can check out the schedule here. Tuition includes a health fee, but what benefits can you get from that fee? If you visit the Student Health Services office, either the one at MMC or BBC, you can get routine medical exams, screening for high blood pressure and other conditions, medical consultations, family planning and much more. Free HIV testing and counseling is also available. You can get more specialized care for a small fee and purchase discounted medications at the on-site pharmacy. 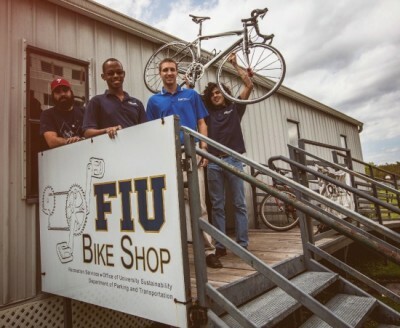 Adrian Valella (left), Brandt Absolu, Andrew Black and Ricardo Gil run the FIU Bike Shop and can help you make sure your bike is safe to ride. Not many people know it, but there is a fully equipped bike repair shop at the MMC campus. You take your bike and get a free safety check done by one of the skilled repairmen. This is also a good, cheap place to get adjustments done; fixing a flat tire, for example, is only $10. This is another one of those included-in-tuition “freebies,” but hey, if you already paid for it, why not get the most for your buck? By simply going to their website, you can download Microsoft Office Suite for your Mac or PC, which includes Word, Excel, PowerPoint, Entourage (Mac), Outlook, Access and OneNote (PC). You can also download McAfee antivirus software (Mac and PC). Thanks to license agreements, FIU students can also purchase a series of software applications at discounted prices. South Florida might be known for its beaches, bars and night life, but as an FIU students, you get the bonus perks of enjoying the cultural side of South Fla.—for free! Here are three museums that you can get free admission to by simply showing your Panther One Card. Thailand Ambassador Chaiyong Satjipanon’s visit to the university in March. The Frost was one of his stops during the campus tour. 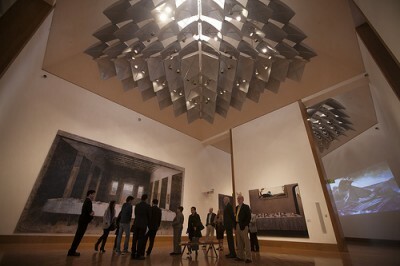 You don’t have to leave campus, to get your culture and art fix. The Frost, located at MMC, offers permanent collections where you’ll find objects dating from 200-500 A.D., 20th century sculptures, photographs and paintings, and even American prints from the 1960s, just to name a few. The Wolfsonian offers a wide range of art, archives, rare books and objects from the modern period. Most of the objects found here are from North America and Europe and reflect the social, political and technological changes that shaped that period of history. As a student, you can also schedule a visit to explore the research collections, which include a book and an object collection. 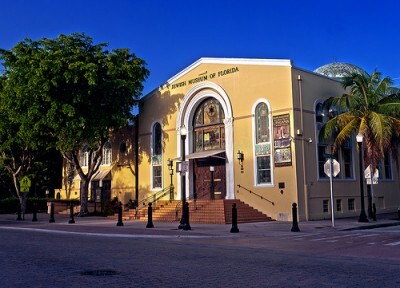 The Jewish Museum of Florida-FIU is located in a former synagogue that houses Miami Beach’s first jewish congregation. The core exhibit, MOSAIC: Jewish Life in Florida, tells the story of nearly 250 years of Jewish life in the state. The Jewish museum has a unique collection of material that represents the Florida Jewish experience from the late 1700s. Here you’ll find photographs, newspapers, audio recordings and other historical objects. And the building itself is a historical synagogue in the Art Deco style from 1936. Perhaps you’d rather spend your free time outside. If this is the case, then the FIU Nature Preserve is where you need to be. Located on the east side of MMC, the preserve has trails built for walking, running and even mountain biking. If you’re a devoted environmentalist, then you can offer your time as a volunteer—you’ll help keep this little piece of nature beautiful and make some friends along the way. Thanks for posting this! I was looking for an article with all the free stuff for students!